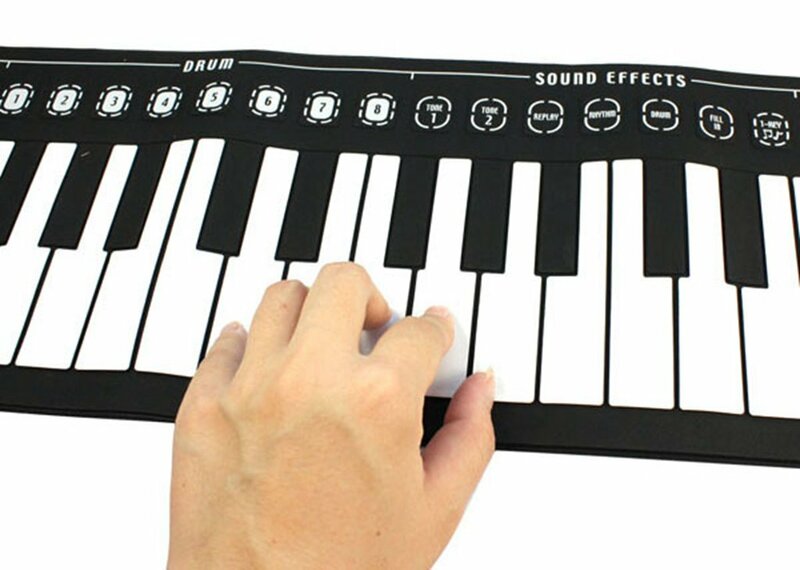 Successfully Added Silicone Roll-Up Piano - 49 Keys, 8 Tones, Built-in Speakers, Head Phone Support, Lightweight, Dual-Charging to your Shopping Cart. The folding piano can be easily charged either through USB or regular AA batteries. This makes your music gadget highly portable and easy to use at any given moment. Besides its high quality speakers, this roll-up piano also allows you to use it along with your headphones. Likes this, you can play the piano without disturbing others in your surroundings. This little gadget is perfect for children who wish to learn how to play an instrument. It features 8 different tones for an overall outstanding music experience. Whether you simply use it for fun or for increasing your piano skills - this roll-up piano is guaranteed to meet all your demands. The folding piano comes with a 12 months warranty, brought to you by the leader in electronic devices as well as wholesale electronic gadgets..